It’s usually traditional to do a ‘let’s look back at the past year’ blog post on New Year’s morning, when you’re surrounded by the remnants of last night’s party and full of the kind of optimism that only the clock striking midnight on the 31st seems to give you. But we here at Hope Mill Theatre are anything but traditional so we’re throwing convention out the window and doing a reflective blog in August. Wild, we know. Probably one of the biggest things to happen here at the theatre over the past few months was the musical, ‘Parade’ – our first in house production, co-produced with Aria Entertainment and James Baker Productions. We couldn’t have asked for anyone better to produce with; both Katy and James were so supportive throughout the whole process and we’re extremely proud of what we managed to achieve, with the help of our fantastic cast and crew of course! As well as the sell-out performances and the fact that Mark Shenton put us in his pick of the week, one of the most exciting things about ‘Parade’ is the legacy that it left behind. We frequently have audience members returning for all kinds of different shows telling us how much they enjoyed ‘Parade’ and how much they love the venue. It’s encouraged people to come and see other shows that we have here because they’ve picked up flyers on previous visits and they now know where we are (once you find us, you’ll never look back!). For us, building a relationship with audience members is really important so we’re so proud that something we created has encouraged people to keep returning and engaging with other productions. It’s also given us so much confidence in what we can achieve and we’re really looking forward to teaming up again with the amazing Katy from Aria Entertainment on our next production ‘Hair’, which runs in November and December. Tickets are already on sale so if you want to be part of ‘the dawning of the age of Aquarius’ then visit the What’s On section of the website today. However, we wouldn’t want to forget any of the other fantastic productions that we’ve had this year. One of the best things about being a Fringe theatre is that you get to meet so many different companies on a weekly basis and everyone brings a massive amount of talent and creativity with them. Some of our other highlights have been ‘Shirley’ by Andrea Dunbar, ‘The Trial’ by People Zoo Productions, which has just enjoyed a successful run at the Edinburgh Fringe Festival, and ‘Orphans’ by Play With Fire who we’re really excited to welcome back with ‘Sans Merci’ this September. Of course there have been other productions that we’ve enjoyed but there’s simply not enough room in this post to do them all justice! And just as any good musical theatre performer has to have more than one string to their bow, we here at Hope Mill Theatre are much more than just a theatre. The ‘empty shell’ nature of the theatre space means that it’s perfect for couples looking for a wedding venue that they can make their dreams a reality in. From village fetes to Northern Quarter raves we’ve celebrated some fantastic days with wonderful couples and it’s really special to be able to be a part of their stories. It also means we get the chance to work with the wonderful Stef from Alternative Weddings MCR and, let’s be honest, who doesn’t love a good party? So what can you look forward to over the next few months? 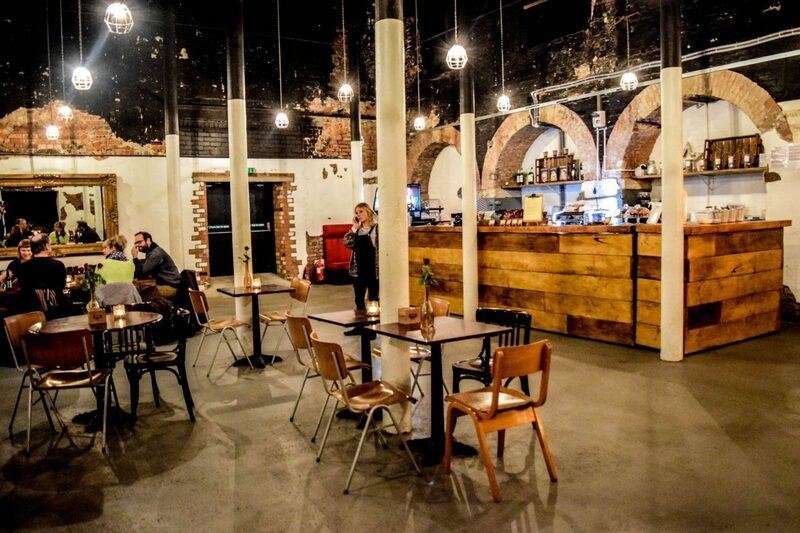 September sees us launch ‘The Play Reading Club’ led by Manchester based theatre all-rounder Lucia Cox and also the arrival of ‘Manford’s Comedy Club’. Jason Manford (yes THE Jason Manford) attended a performance of ‘Parade’ and having seen the space decided that it would be ideal for his comedy club which promotes live comedy from some of the hidden diamonds on the comedy circuit. It’s a guaranteed night of laughs with stand up from Alun Cochrane, Andrew Bird, Paul Pirie and Tom King. We’ve also got a cabaret tribute to the one and only Bette Midler on the way as well the dark comic drama ‘Parallel’ in which the role that each actor plays is determined by a roll of the dice on the night. Then as Christmas approaches, we’ve got a family friendly production of ‘The Snow Queen’ by Little Pixie Productions before we welcome in the festive period with our in-house cabaret spectacular ‘Hope Mill Theatre’s Christmas Cracker’ (tickets on sale soon). I’m exhausted just thinking about it all! 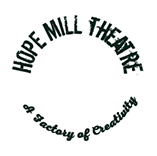 And as if that’s not enough, we’ll be celebrating an important birthday in November as Hope Mill Theatre turns 1! It’s incredible to think that we’ve only been open for a year. It’s been absolutely jam packed but we wouldn’t change any of it for the world and are so excited for the next few months. For more information on any of the shows mentioned above, head to the What’s On page on the website. We look forward to seeing you soon!